The latest commemorative banknote of Singapore celebrating the Chinese New Year will be circulated on 29th January through 36 POSB ATMs. People can also book new notes online and collect them later at DBS and POSB branches. 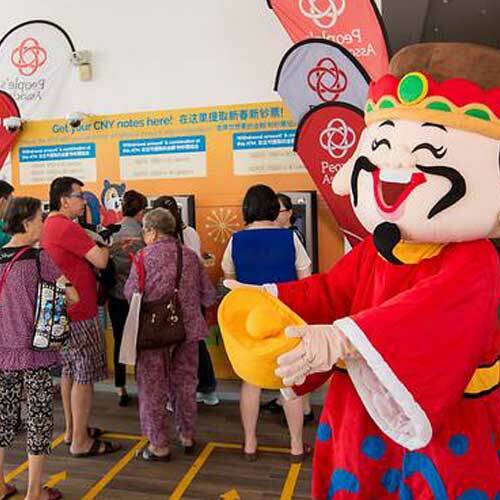 DBS/POSB and the People's Association have come together to install special pop-up 24X7 ATMs in 27 community clubs throughout Singapore during the festive occasion. The machine at Chong Pang Community Club will not be available 24X7. There will be bank officials at each spot from 9 am to 9 pm daily until 14th February. Officials claimed that these special pop-up ATM machines have been introduced on public demand to improve convenience levels. These machines are also now capable of holding more number of banknotes.